Don’t throw those worn out markers in the trash! 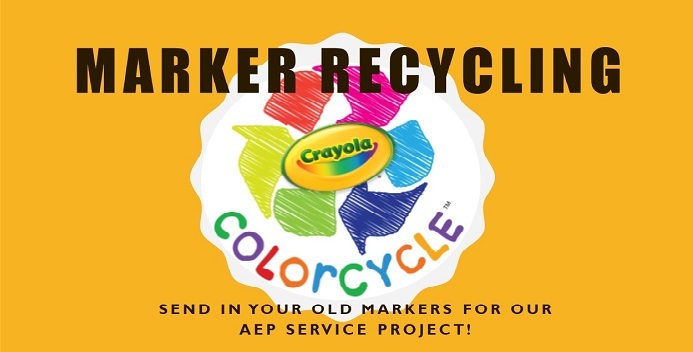 Mrs. Kendall’s AEP classes are collecting used markers as a service learning project and will ship them to the Crayola company for recycling. Collection boxes have been place in the learning hub on each floor. To learn more about the recycling program visit https://www.crayola.com/colorcycle.